I eat chia seeds daily. You can use them in your salads, breakfast, as an egg substitute...there are many ways. 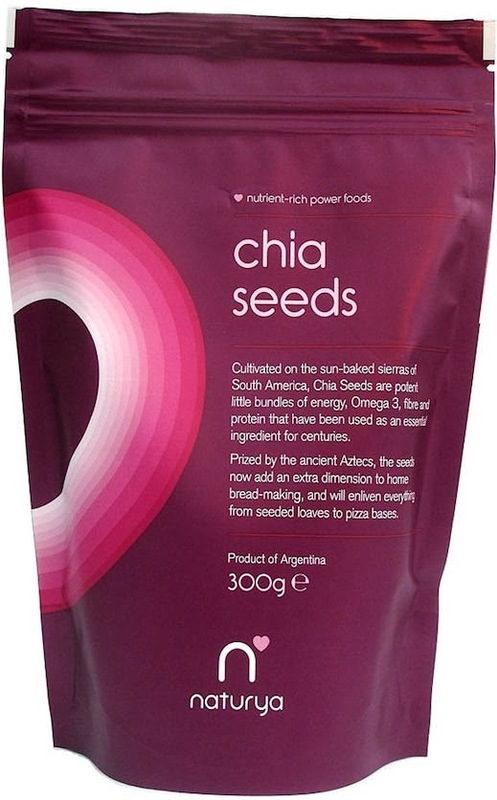 Chia seeds are an excellent source of calcium, magnesium, potassium, phosphorus, iron & zinc. My favorite brand of nutrient-rich power foods is Naturya. I am obsessed with their products! They sell chia seeds, raw cocoa nibs, açaí powder, wheatgrass powder - just to name a few. The past months I saw so many chia pudding pictures on instagram (do you already follow me on instagram?) and I absolutely loved them. 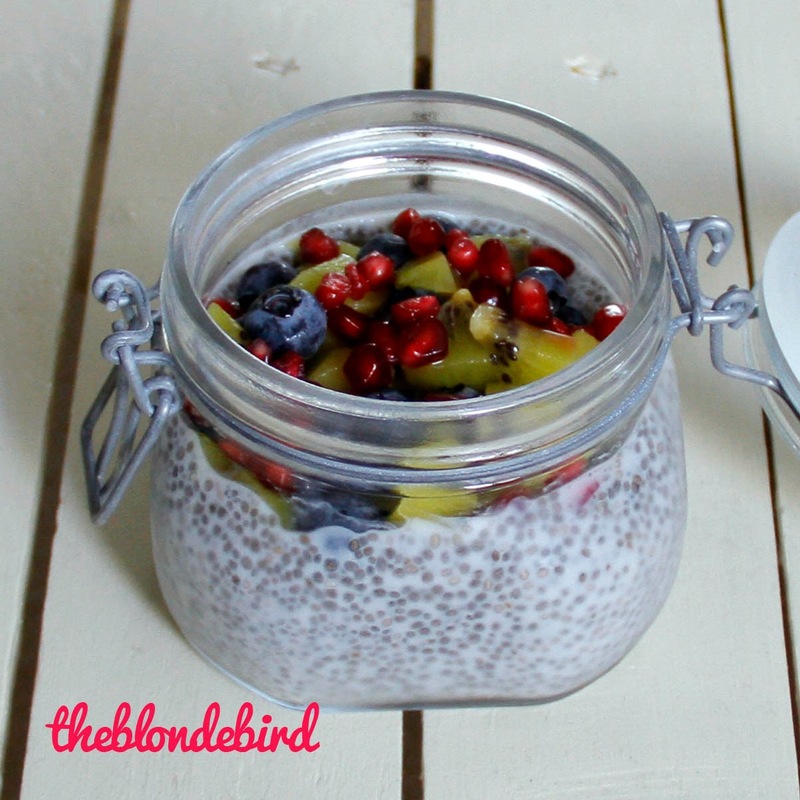 It took a while, I know, but yesterday I made chia pudding myself for the first time. It was delicious! 1. Mix the ingredients together and let it rest for 15 minutes. 2. Then stir it well, and stir again after another 15 minutes. 3. Let sit for 30 minutes. The chia seeds will plump up and they will gelatinize. 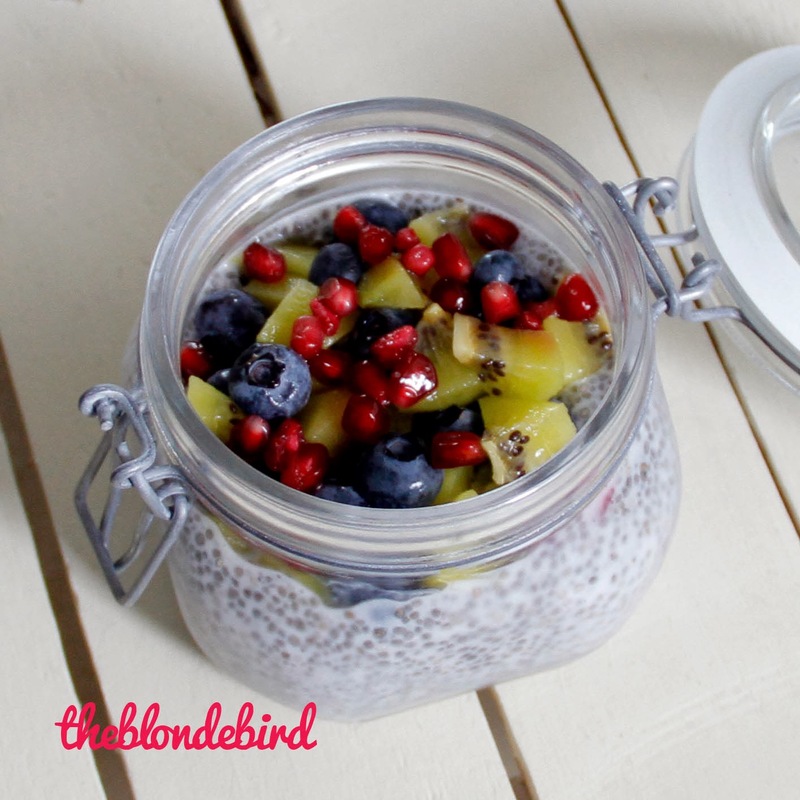 You can also prepare the chia pudding before you go to bed. Just stir it thoroughly (step 1 and 2) and put it in the fridge overnight.